While the computers have already spoken for the conclusion of the 2018 high school football season, the state media has also weighed in. And the top of the standings look identical to what the computers have to say. 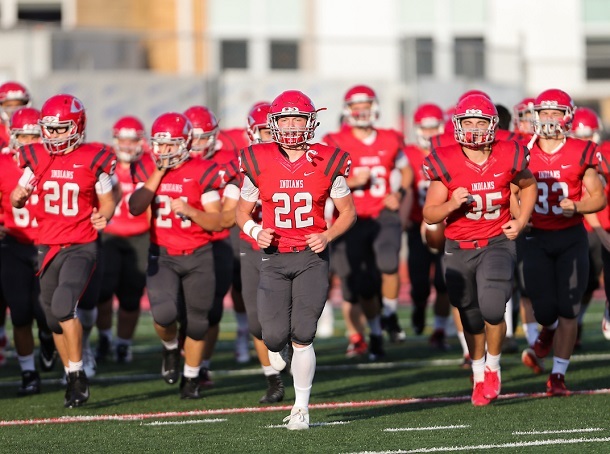 Following Bridgeport’s 56-12 win against Lincoln to finish the year 9-1, the Indians remained in the same number three spot in the poll of statewide radio broadcasters and sports writers. Eighteen voters took part in the poll and have the top four teams ranked in the same order a s the WVSSAC’s computer poll. The Indians are also ranked third in the WVSSAC standings. The WVSSAC poll, which was officially released over the weekend, determined the playoff positioning for the 16 teams in Class AA as well as the other two classifications. At the top of the standings is unbeaten Fairmont Senior. The 10-0 Polar Bears, who waltzed past East Fairmont by a 64-7 score, have been at the top of the MetroNews poll since the preseason. The defending Class AA champion Beavers of Bluefield remained No. 2 after a 20-7 win against Beckley Woodrow Wilson. Bluefield finished the regular season 9-1. Trailing Bridgeport is the only other unbeaten in Class AA. Nicholas County comes in at No. 4. The Grizzlies, 10-0, finished with a 41-0 victory against Richwood. Two of Bridgeport’s opponents are also in the top 10. Robert. C Byrd, at 8-2, is in the No. 6 spot following its 50-7 win against Philip Barbour. The Eagles moved up on position from last week. Keyser also moved up one spot. The Golden Tornado, 8-2, jumped up to No. 8 with a 35-34 win over Mountain Ridge (Md.). In Class A, Doddridge County remained No. 2 and managed to snag one first place vote. The Bulldogs, who are No. 4 in the WVSSAC poll, rolled past Tygarts Valley by a 62-0 score. Click HERE for the complete rankings in all three classifications. Editor's Note: Photo by www.benqueenphotography.com.